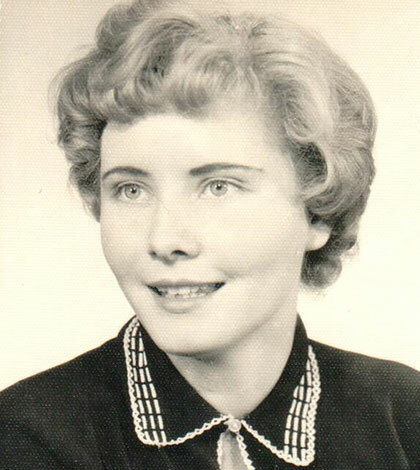 Veronica L. “Bonnie” Rieso (nee Parker), 75, of Waterloo, died Oct. 29, 2018, in St. Louis. 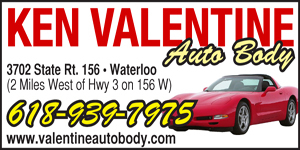 She was born Jan. 28, 1943, in Belleville, daughter of the late Elmer J. and Veronica J. Parker (nee Klein). 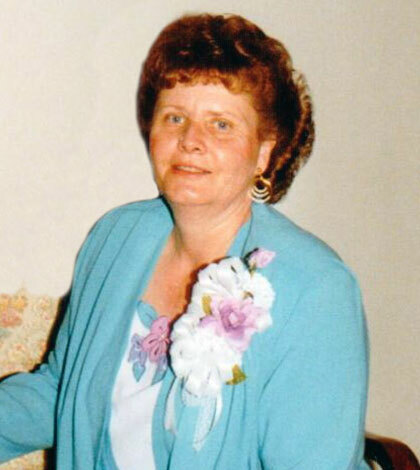 Bonnie was a member of St. Augustine Catholic Church in Hecker. She enjoyed spending time with her grandchildren, gardening and fishing. She is survived by her husband Joseph R. Rieso, to whom she was married for 54 years; daughter Janet (Mike) Schwartz; special grandchildren Travis (Taylor Fuegner) Schwartz and Taylor (Luke Grimm) Schwartz; sister and brothers Melvin (Barb) Parker, Marian (Darrell) Hein and Kenny Parker; sisters-in-law and brothers-in-law Betty Patterson, Frannie (Darrell) Quirin, Delores (Lloyd) Heuring, Dennis (Nanette) Rieso, Rosie (Brian) Funk and Jerry (Donna) Miller; along with nieces, nephews and cousins. Veronica was preceded in death by her parents, sister Catherine Miller, father-in-law and mother-in-law Raymond and Josephine Rieso, sister-in-law Arlene Rieso and brothers-in-law Jack Blake and Pat Patterson. Visitation was Oct. 30-31, at St. Augustine of Canterbury Catholic Church, Hecker. A funeral Mass was celebrated Oct. 31, at the church, Father Von Deeke officiating. As an expression of sympathy the family prefers memorial contributions in the form of Masses or to St. Augustine of Canterbury Catholic Church, Hecker.